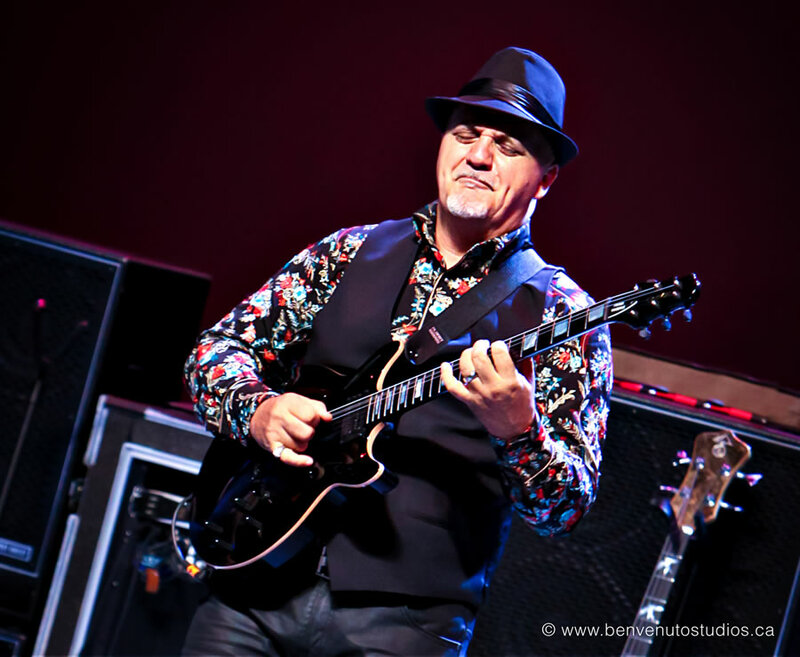 Damien Schmitt performed with guitar virtuoso Frank Gambale and French bass player Dominique di Piazza at the Musik Messe 2015. 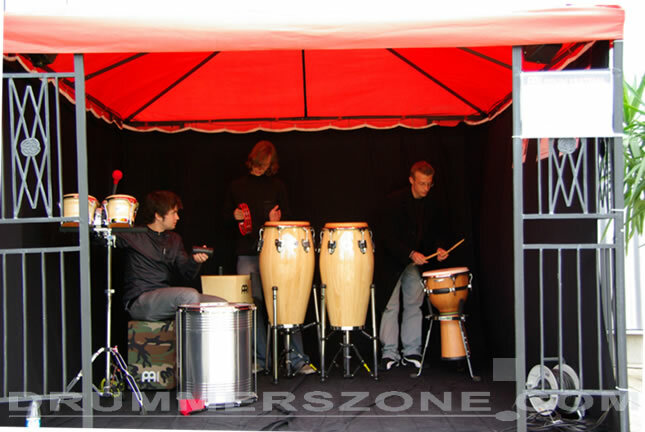 Performances at the Messe take place in the Agora tent in the center square of the trade show's grounds. 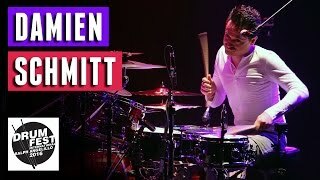 As ever, Damien went through the roof with his grooves and technique. 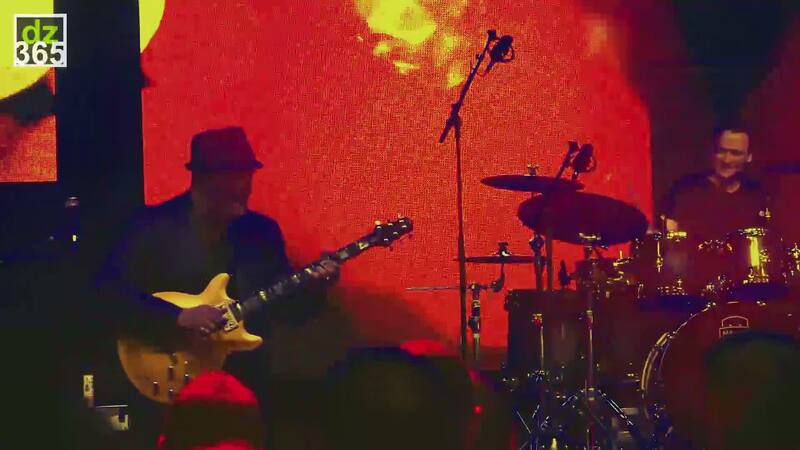 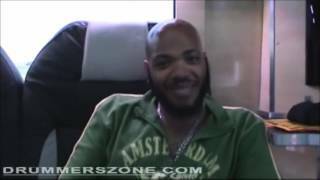 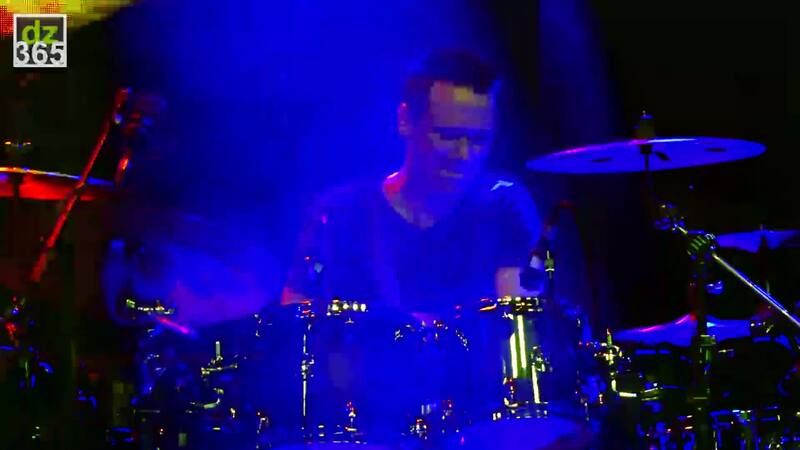 Here are three videos of their show on Wednesday, April 15, 2015 in Frankfurt Germany. 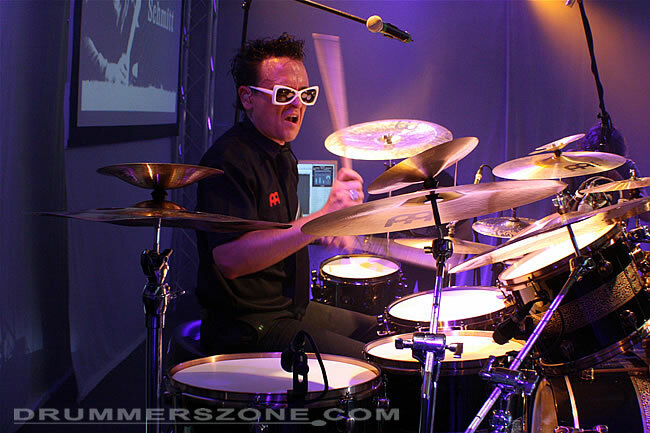 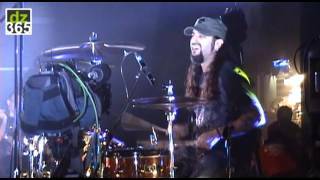 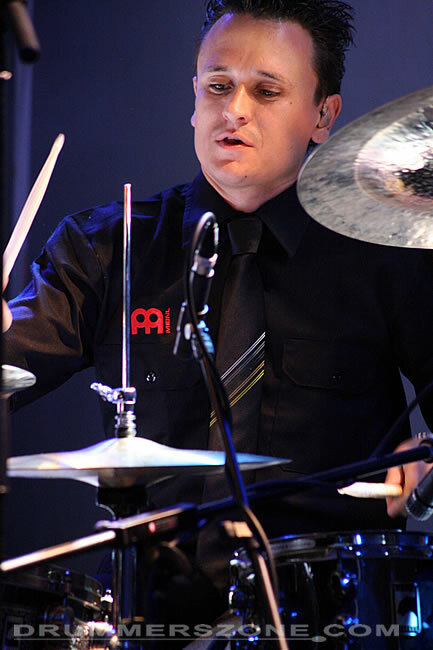 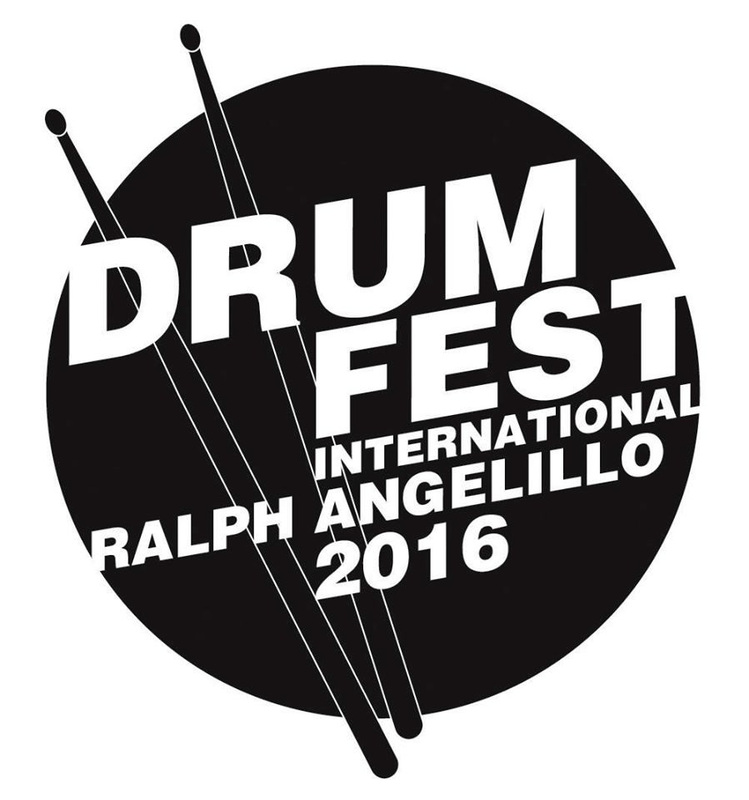 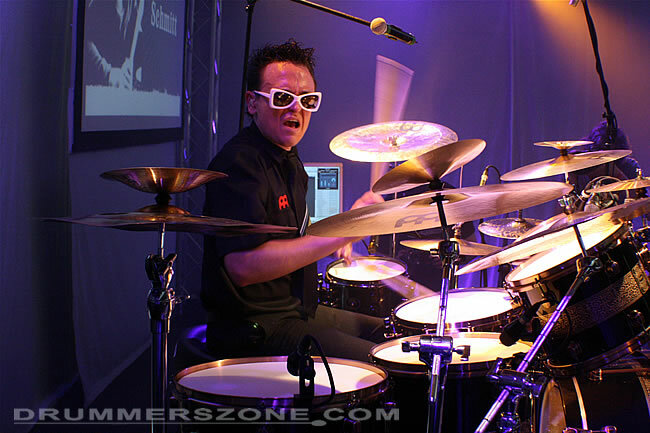 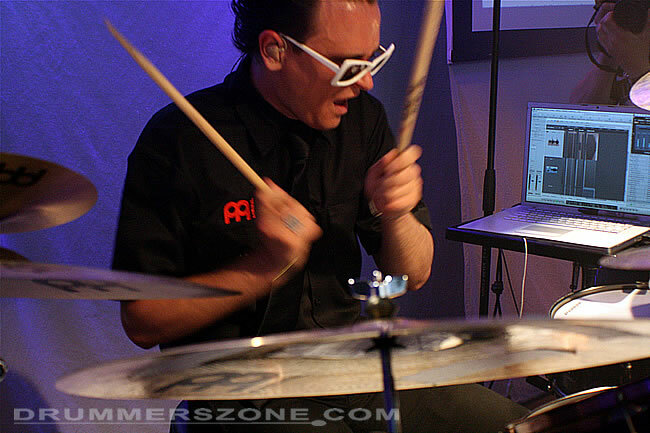 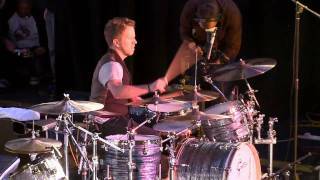 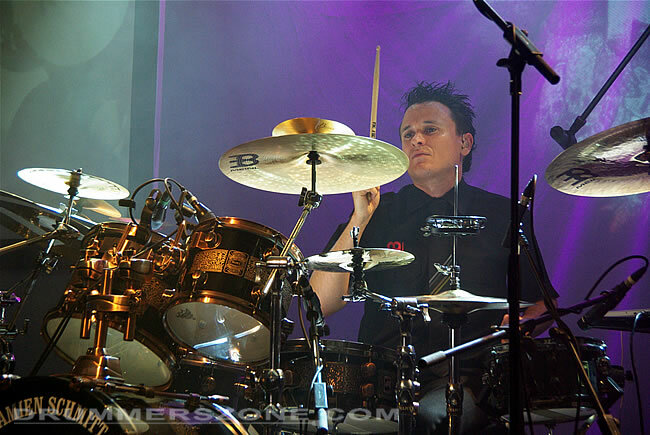 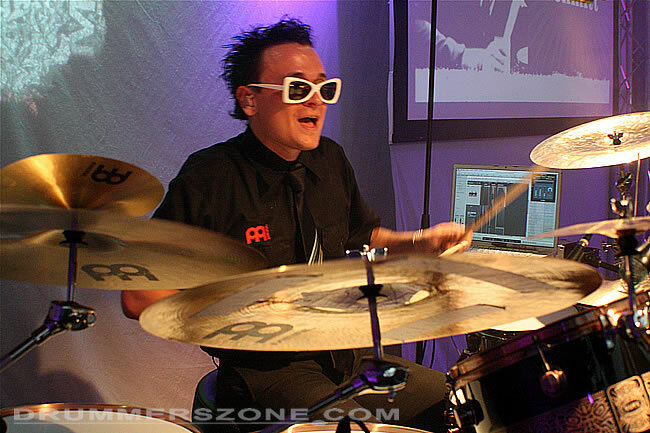 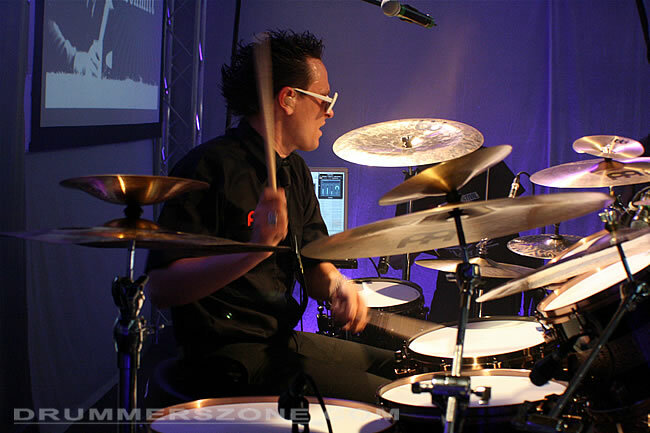 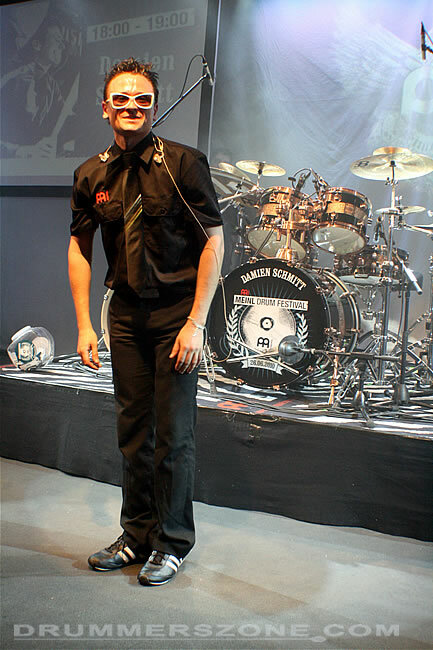 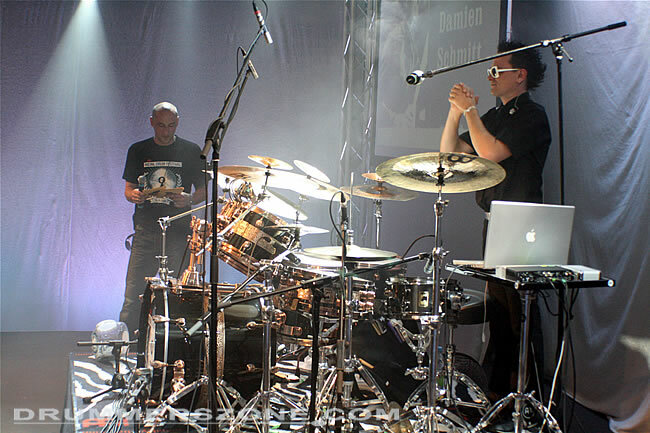 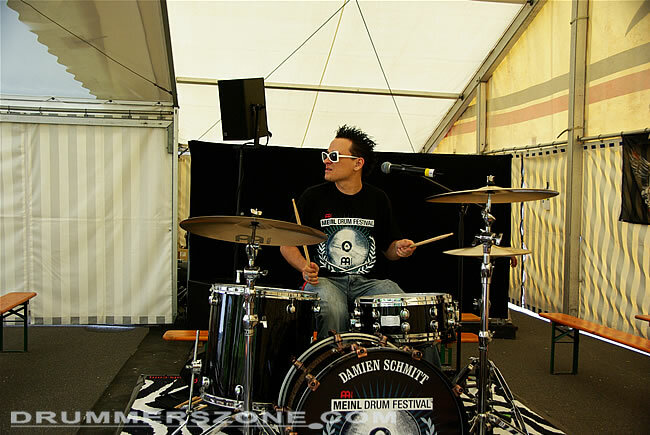 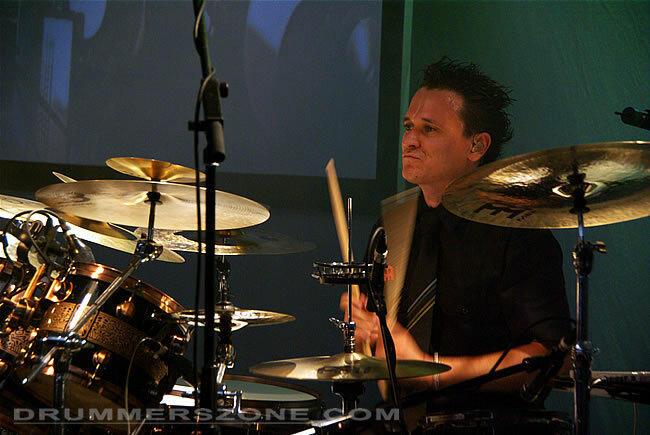 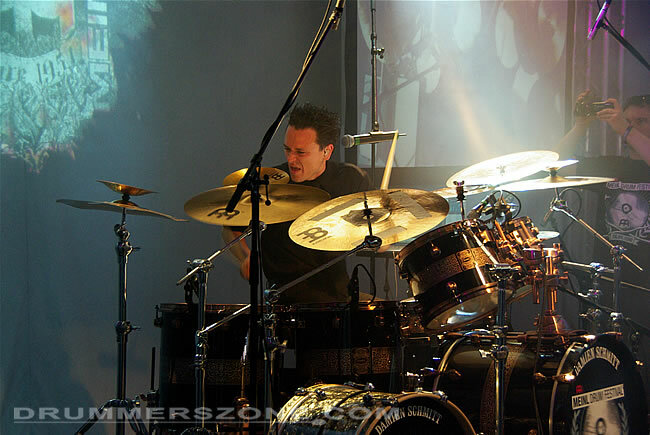 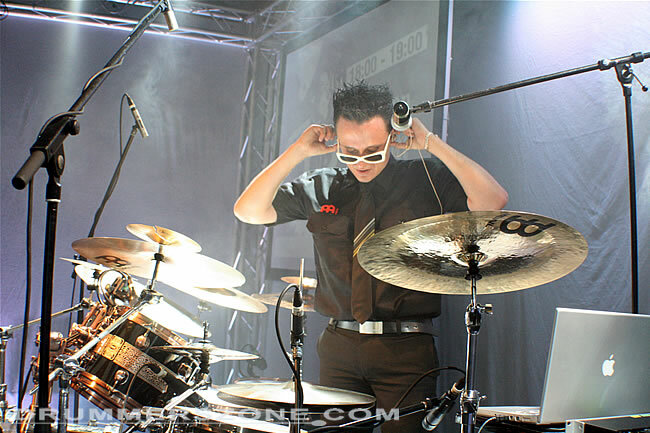 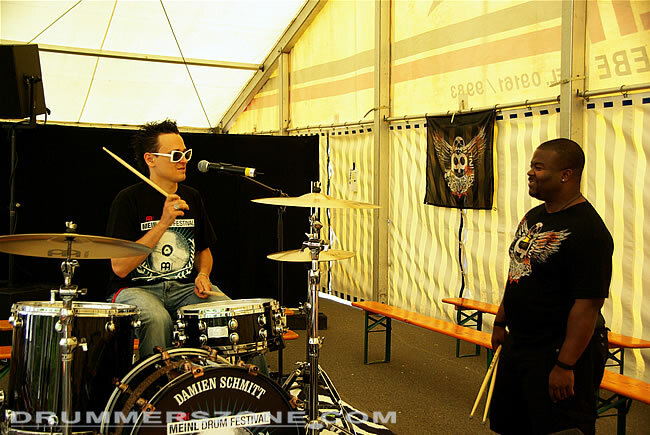 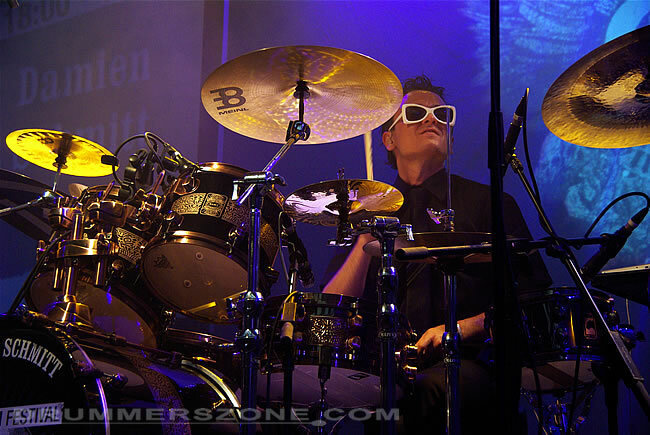 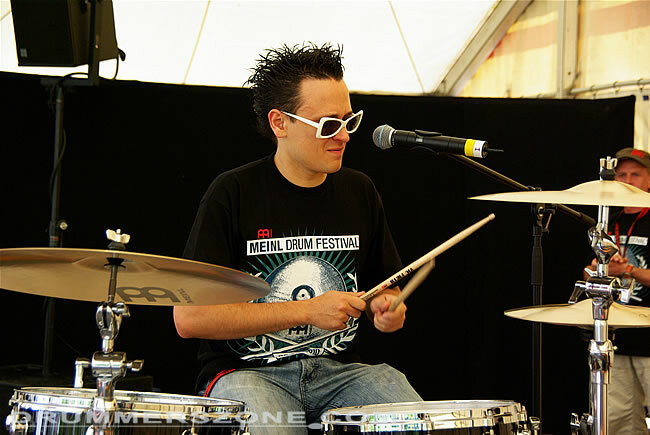 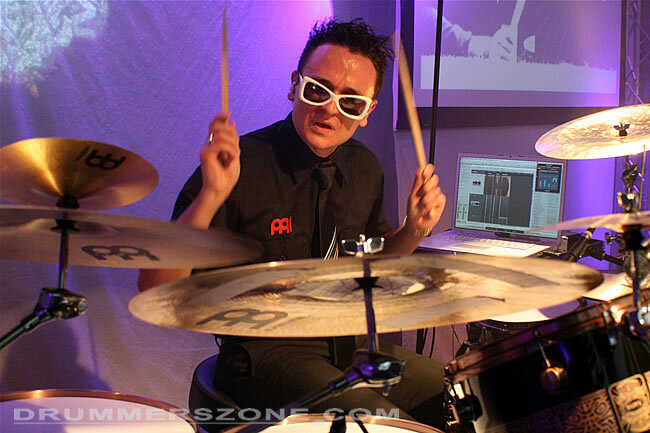 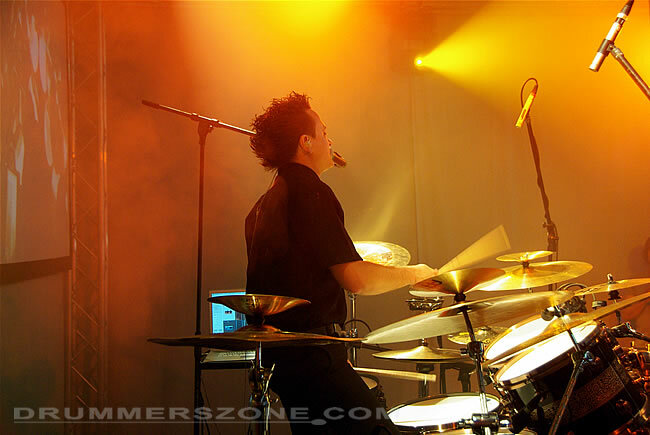 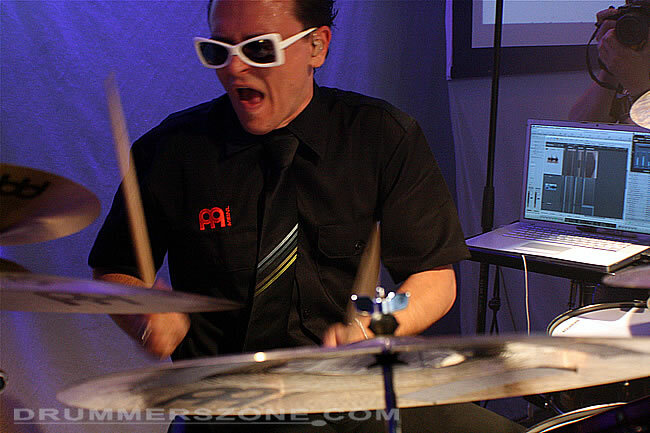 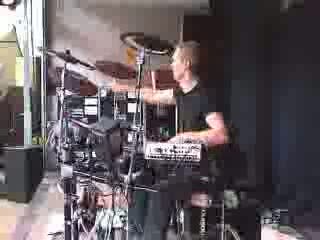 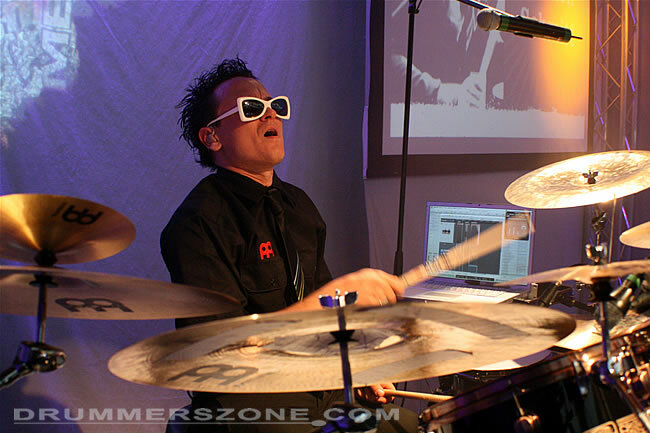 Damien's clinic at the 2010 edition of the Meinl Drum festival in Gutenstetten, Germany. 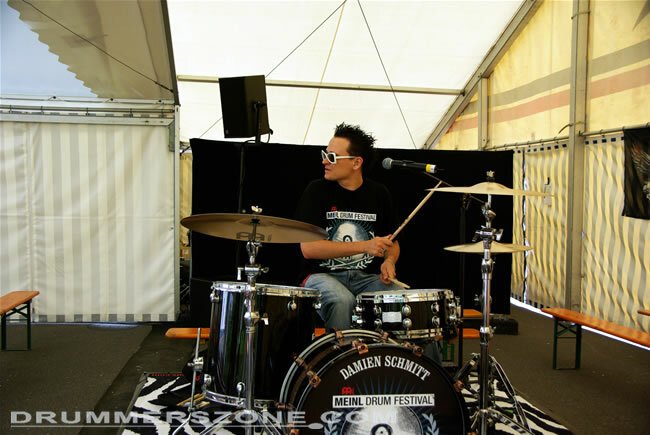 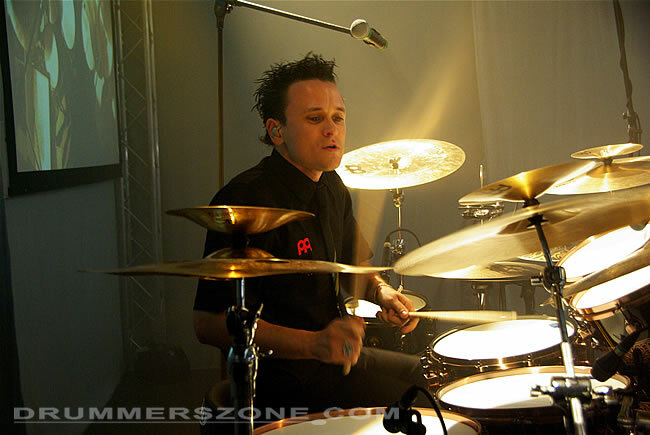 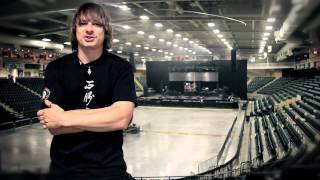 Damien Schmitt was born in Saint-Nazaire, France, on April 12, 1981. 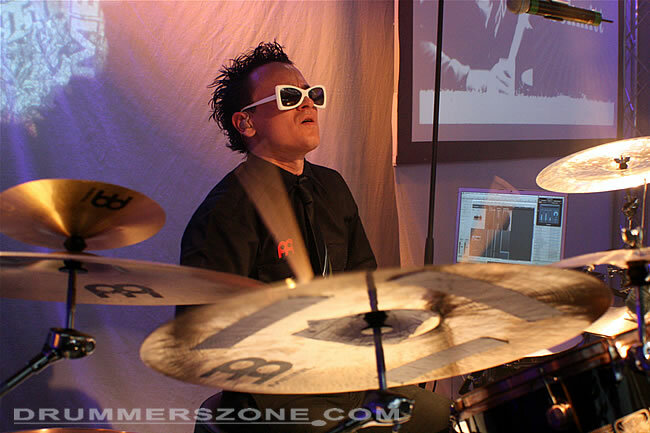 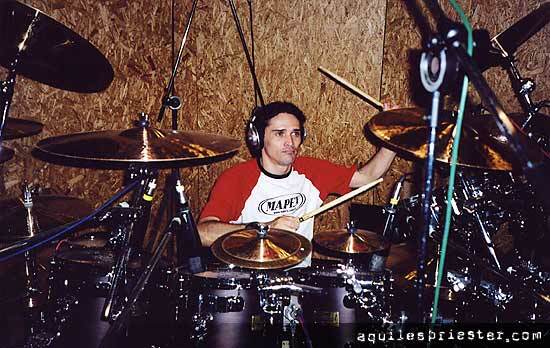 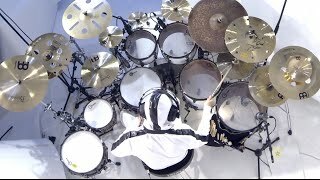 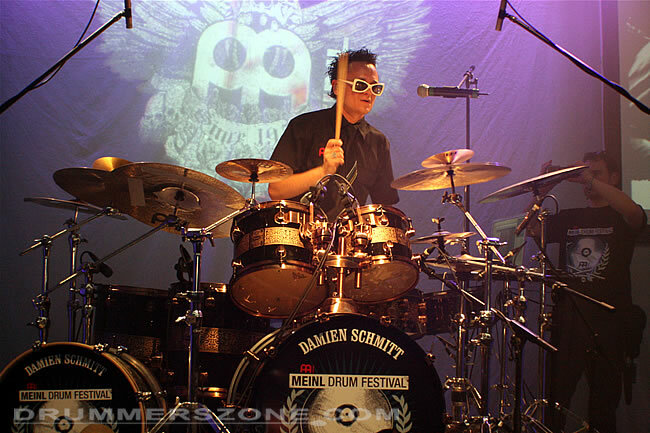 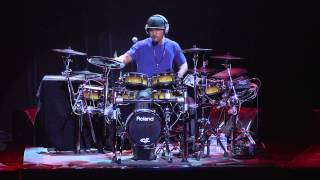 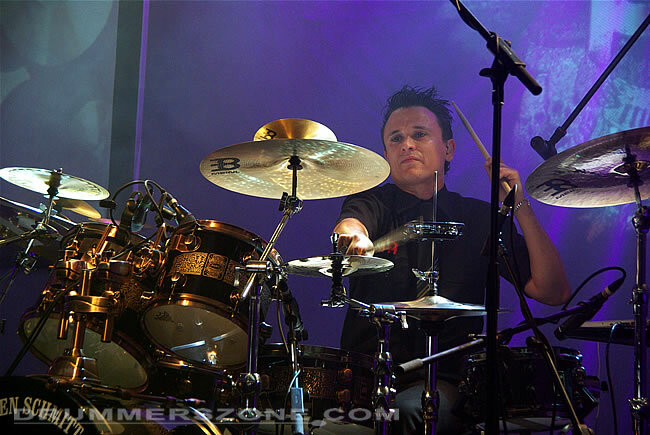 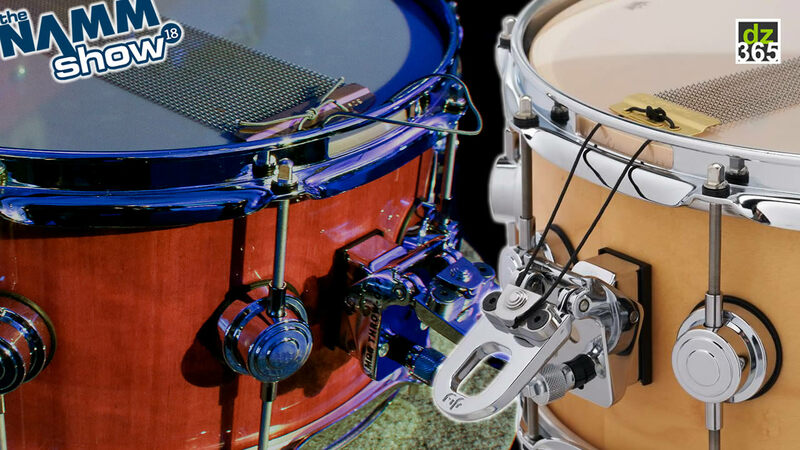 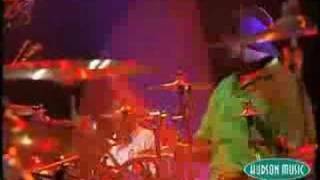 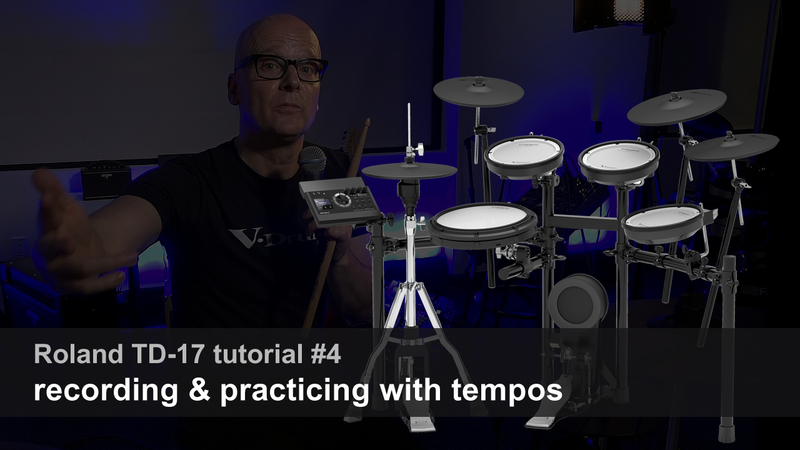 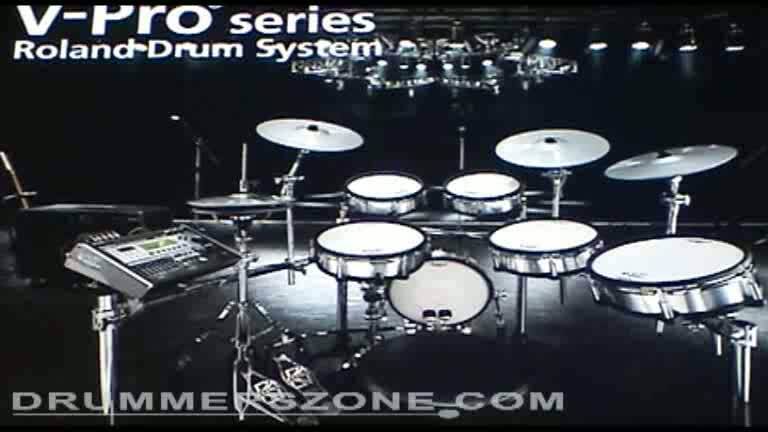 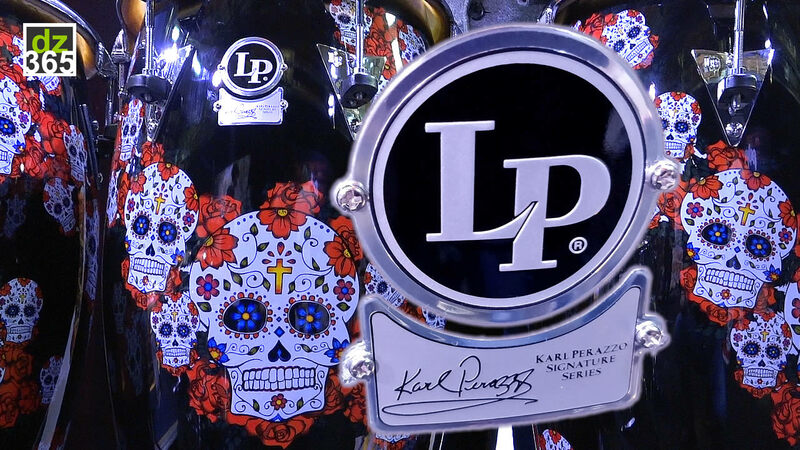 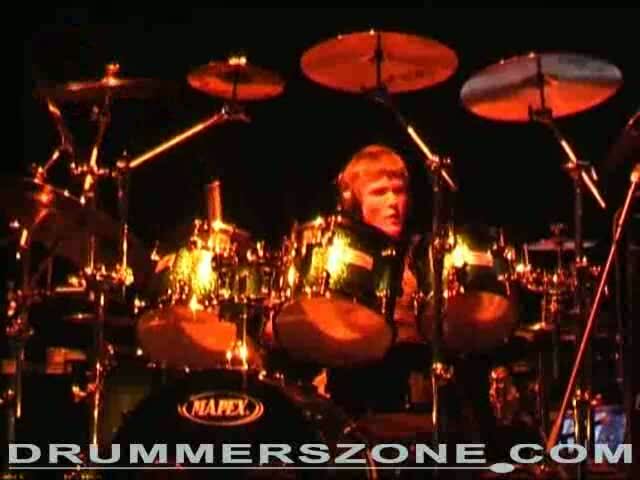 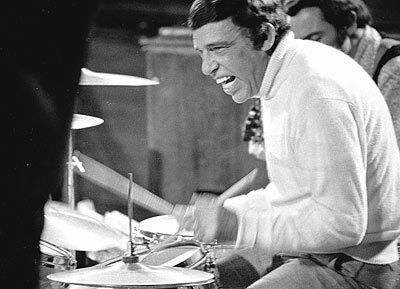 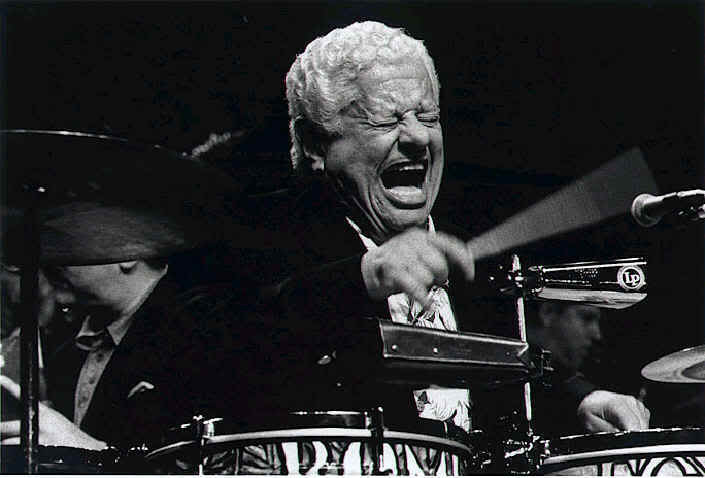 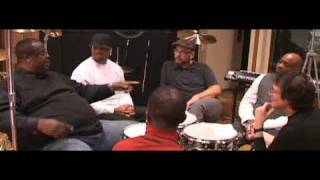 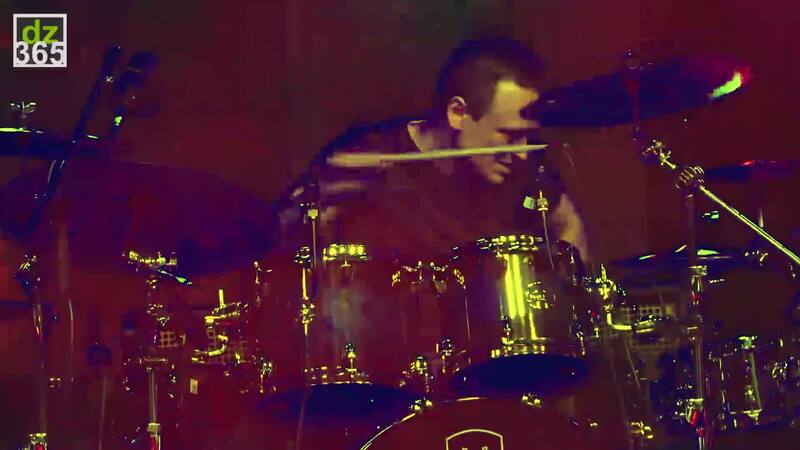 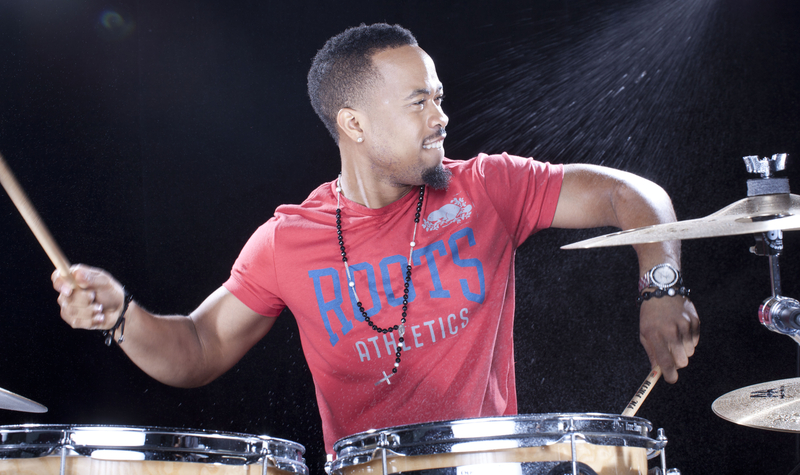 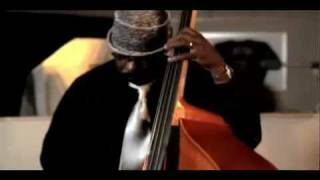 His father taught him drums and at age 4 Damien was already performing in his parents� band. 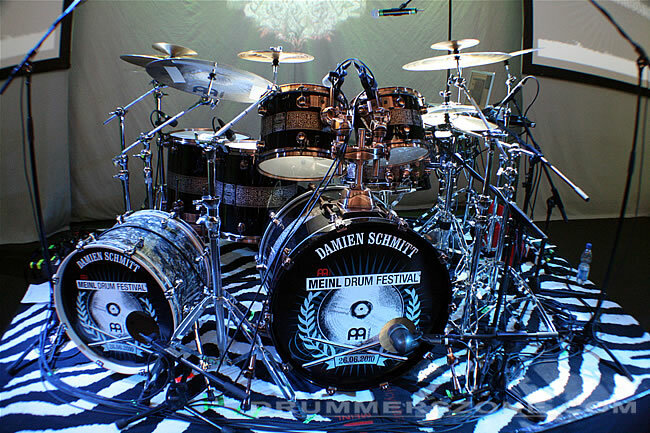 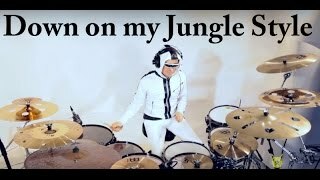 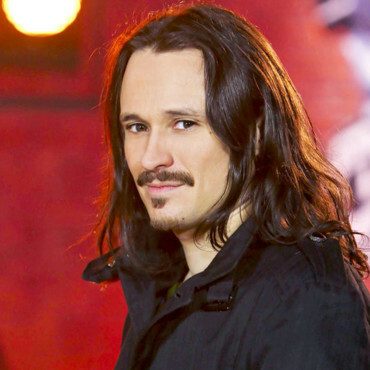 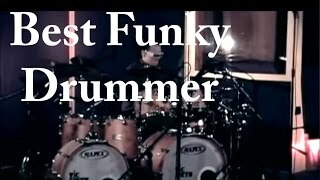 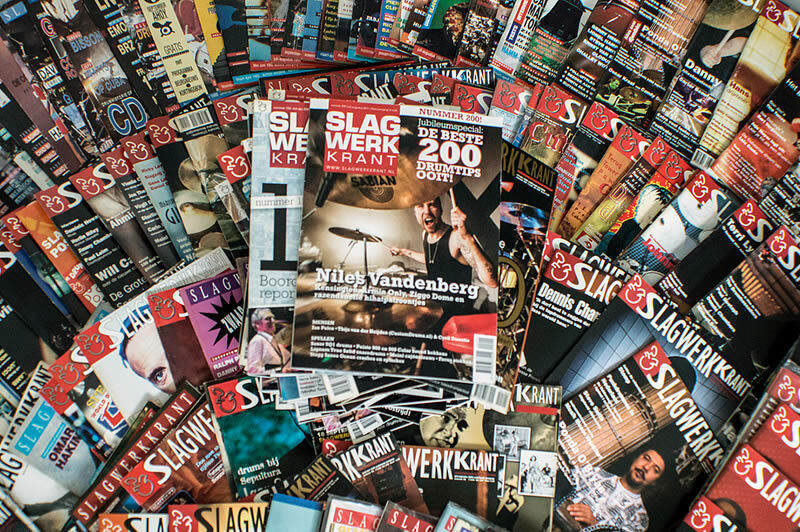 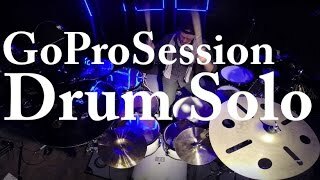 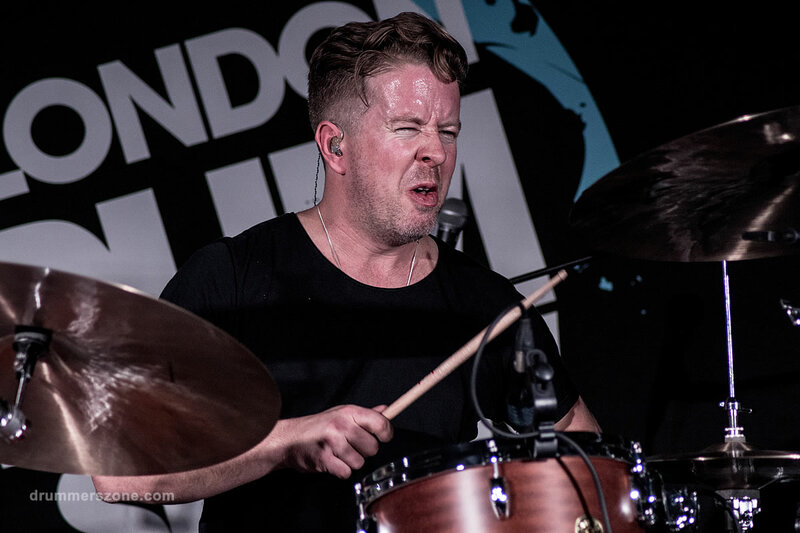 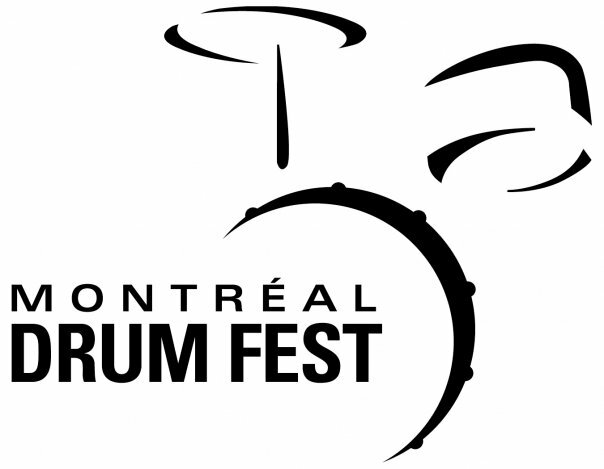 Damien Schmitt acquired a wide musical knowledge by playing funk, hip-hop, metal rock, jazz and jazz-fusion with different groups, then formed his own band and made it to the finale at the prestigious "Printemps de Bourges" in France in 2000. 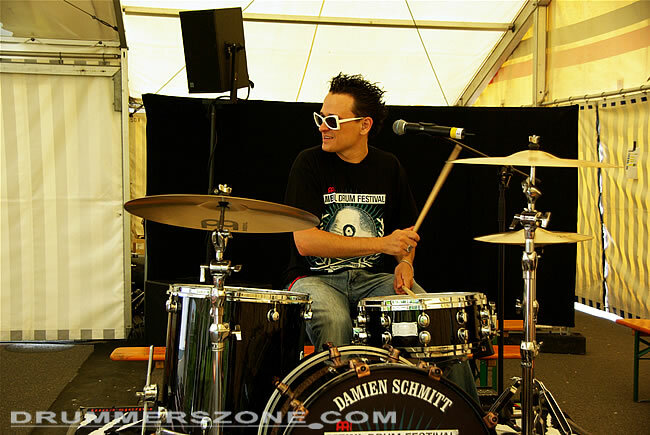 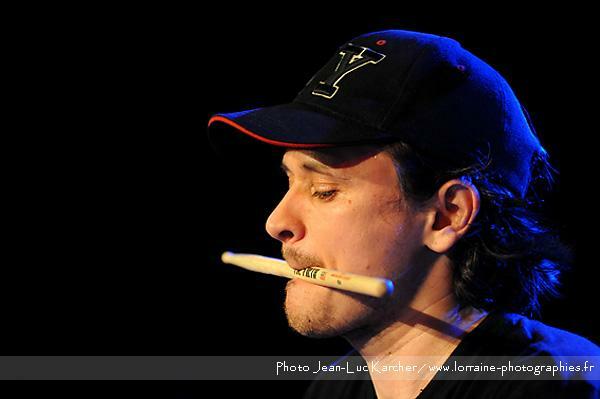 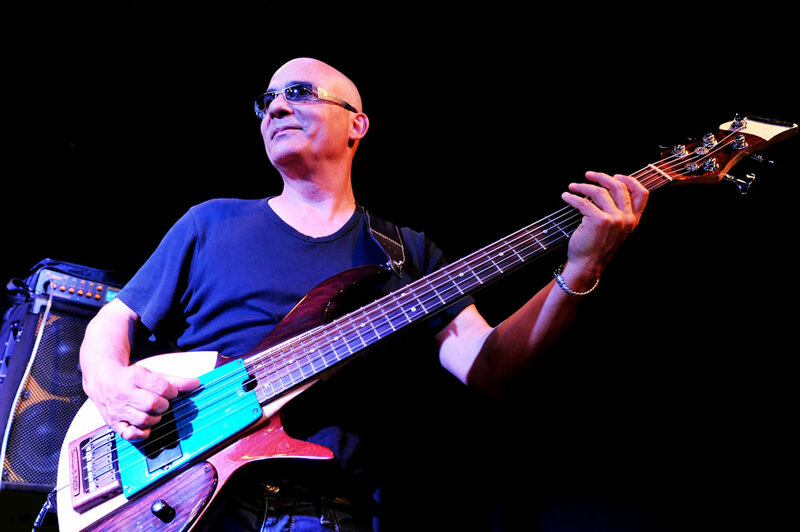 Damien Schmitt played with famous artists such as Yannick Noah, Khaled, Zap Mama, replaced Paco Sery in Sixun and has toured and recorded with top French jazz-fusion musicians. 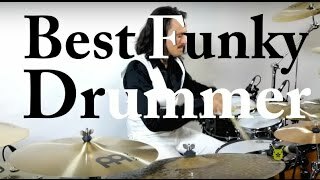 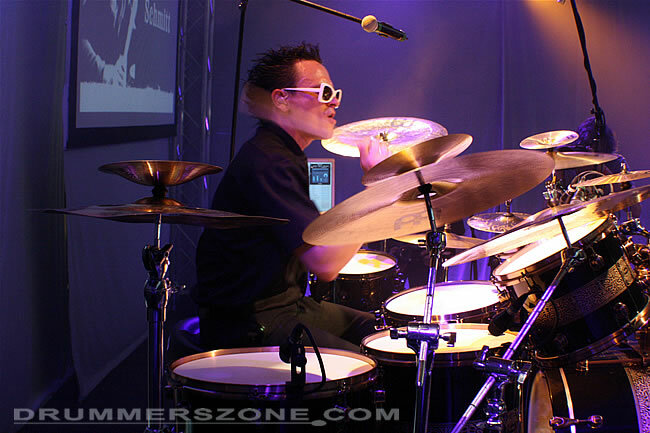 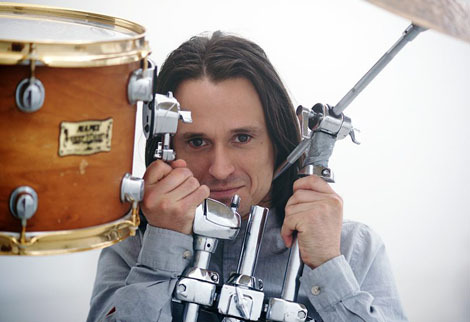 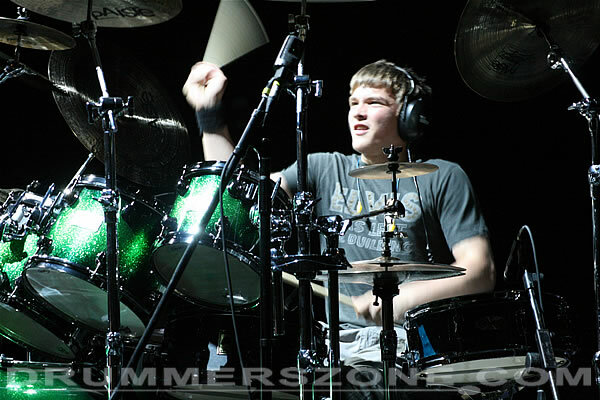 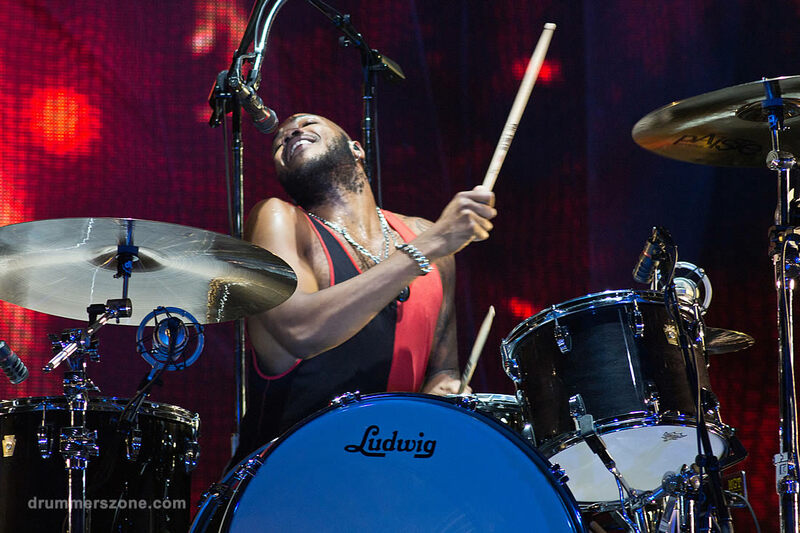 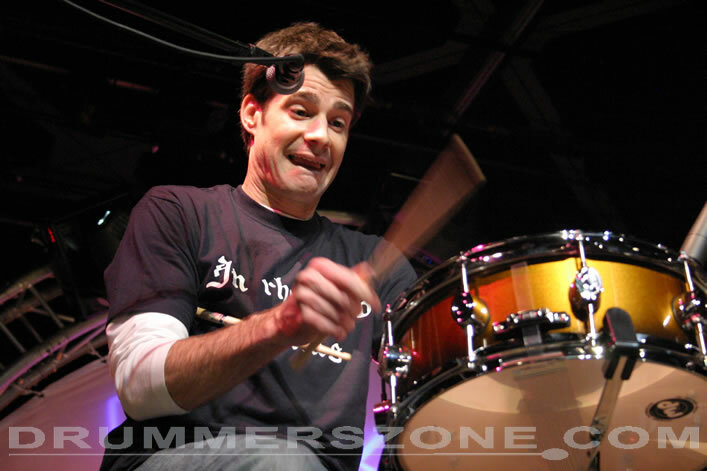 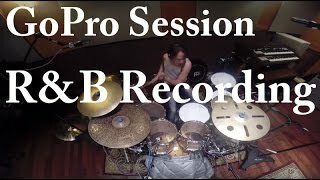 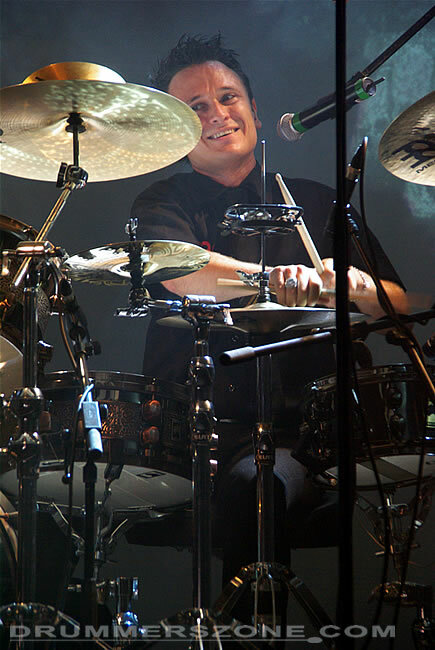 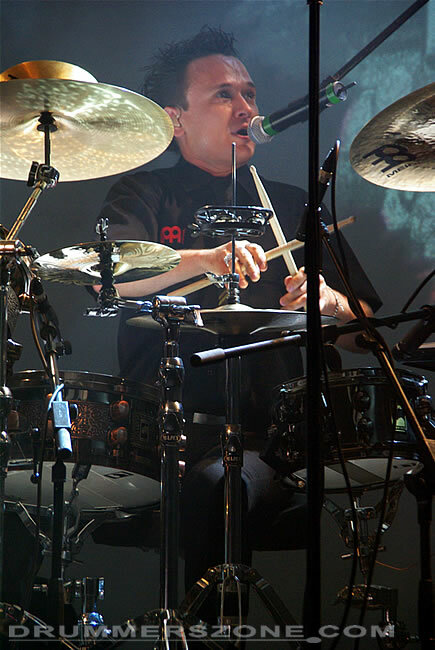 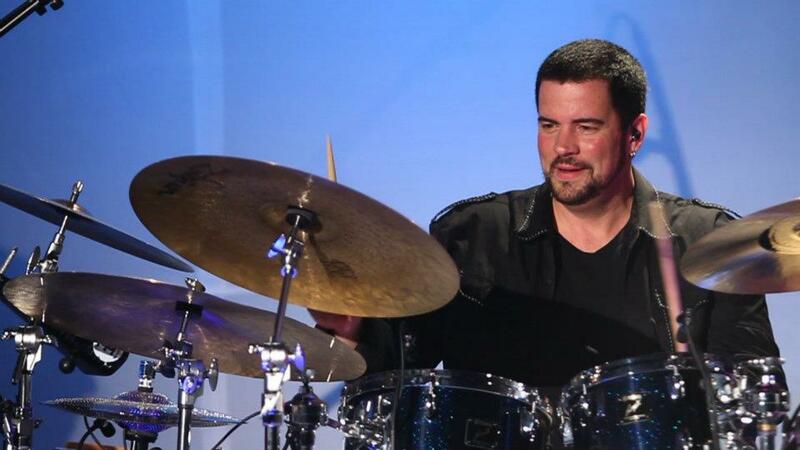 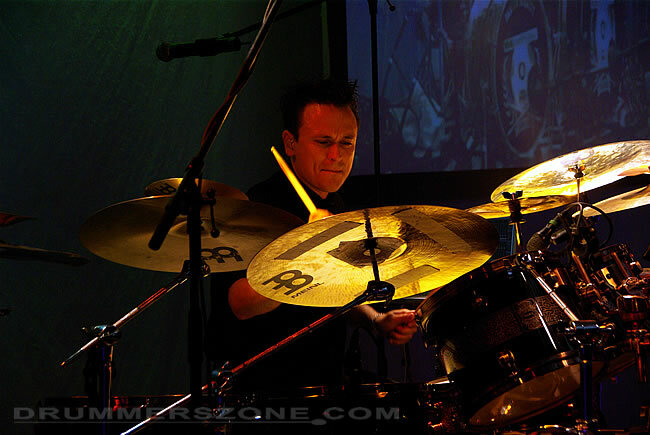 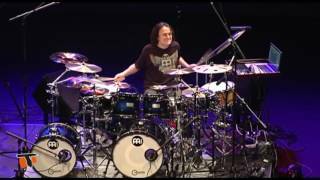 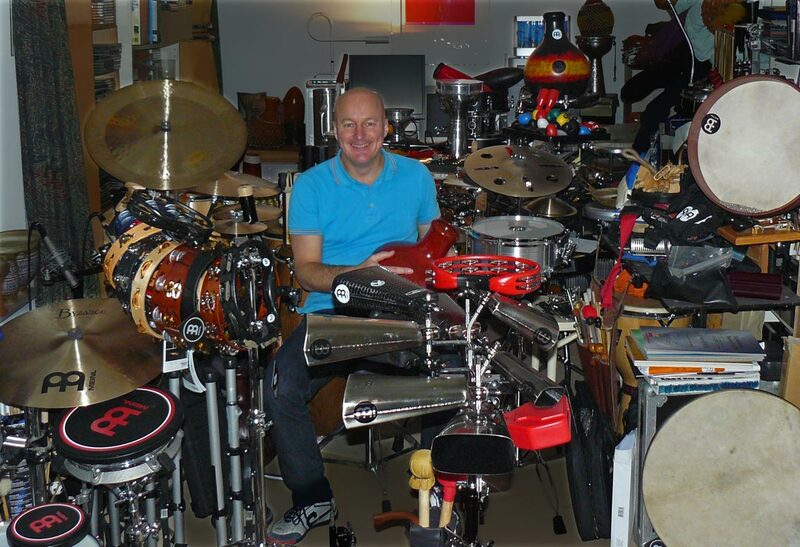 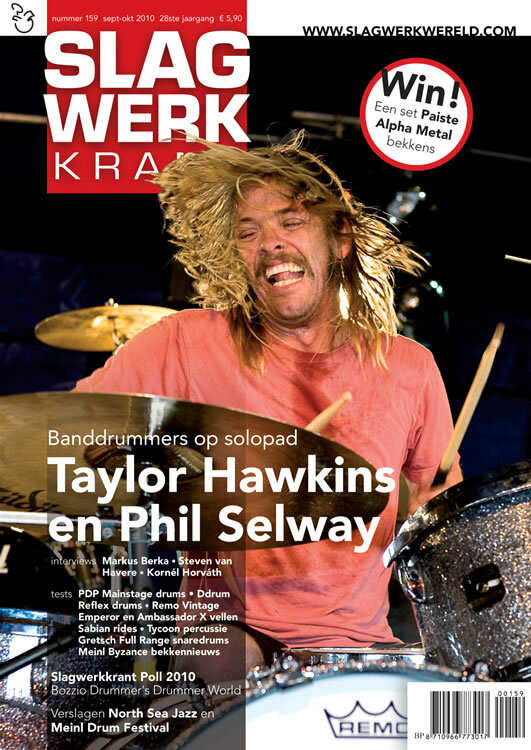 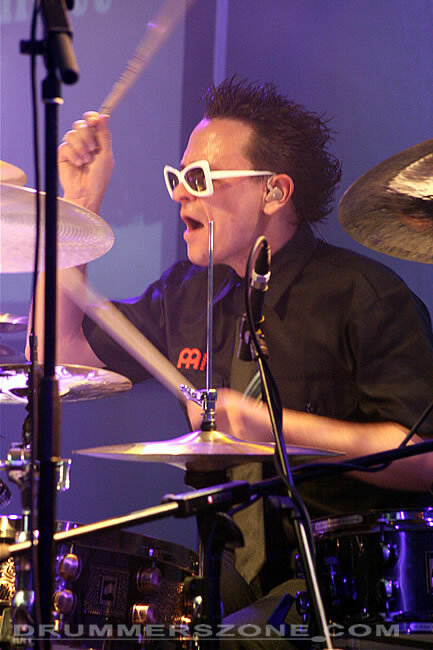 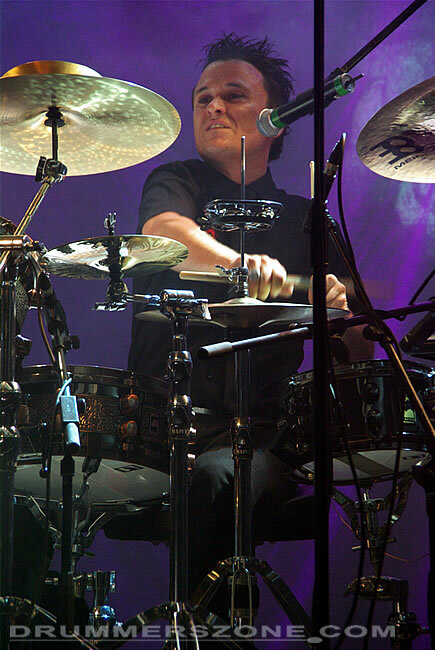 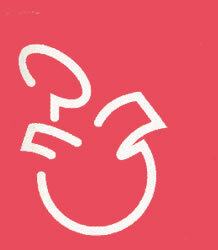 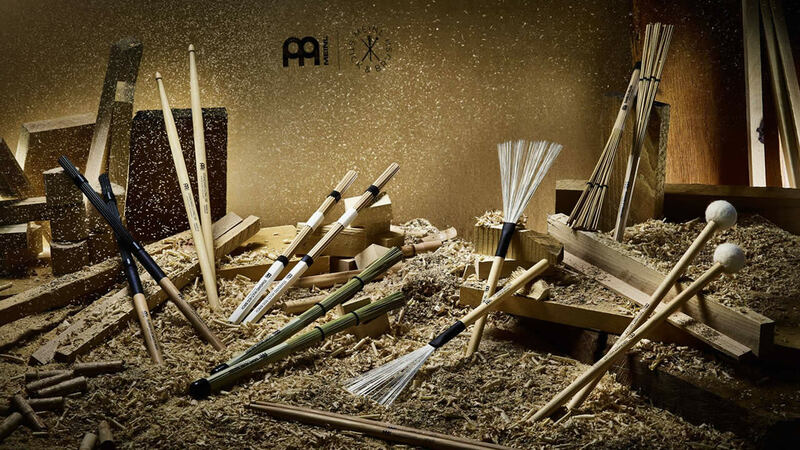 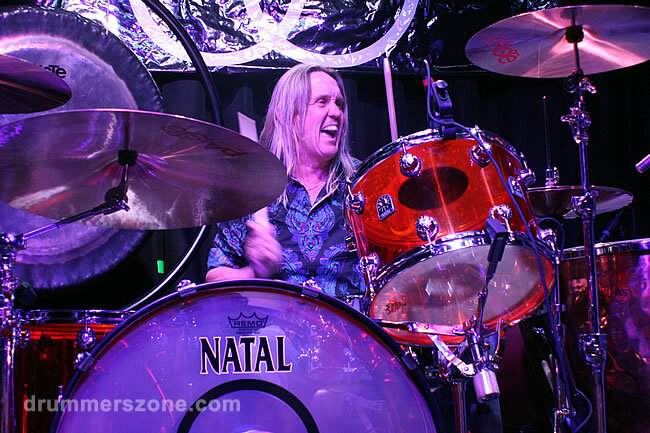 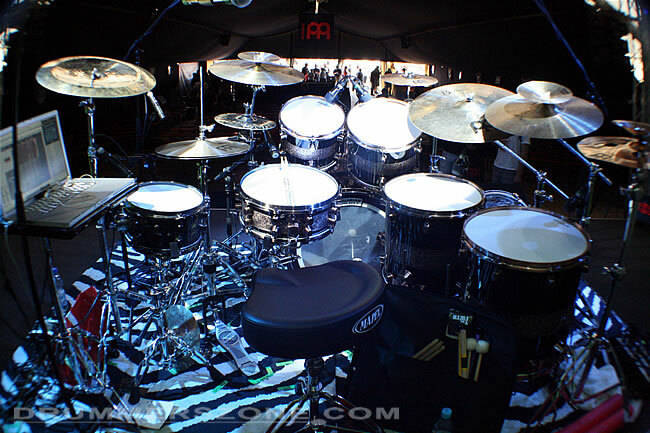 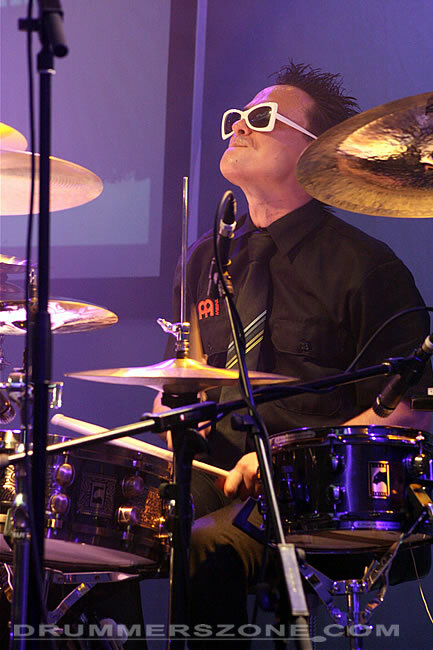 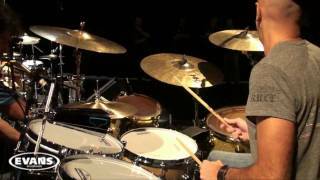 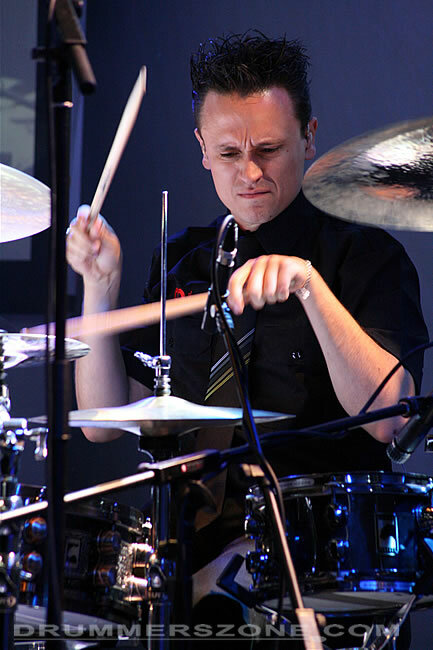 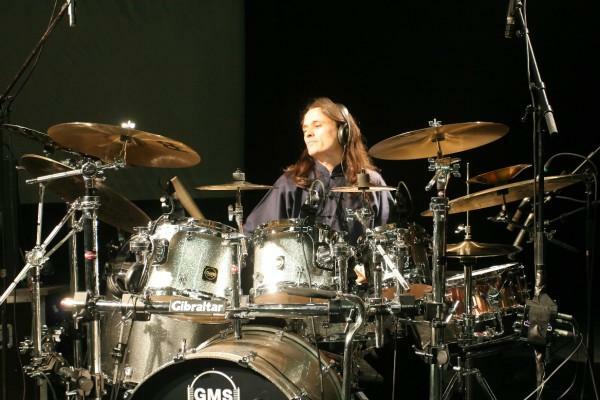 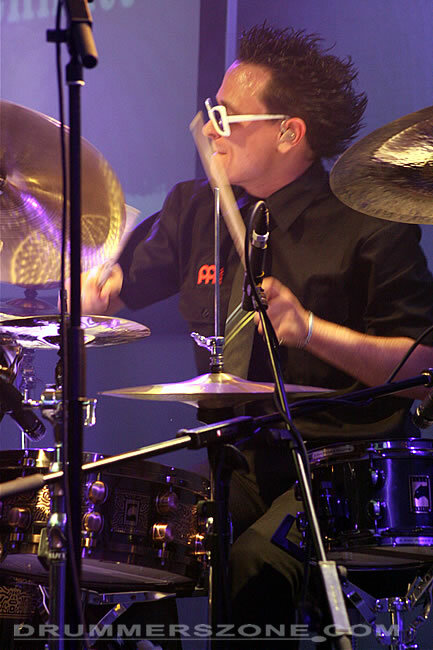 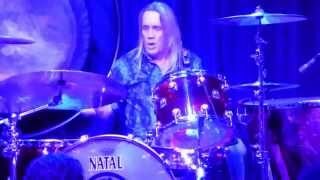 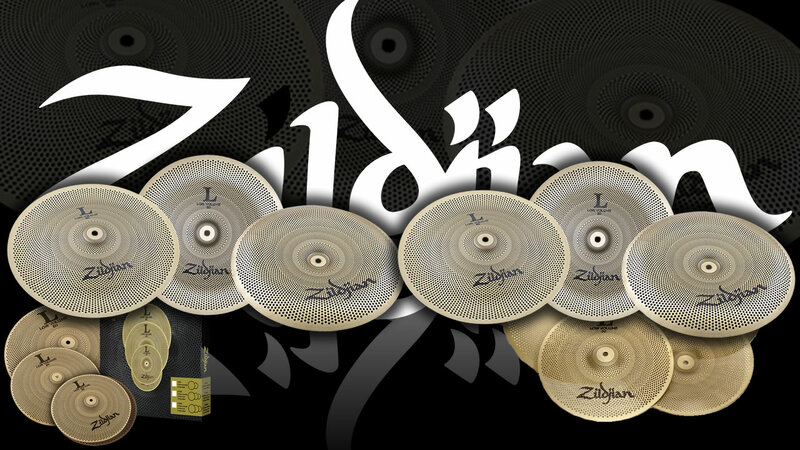 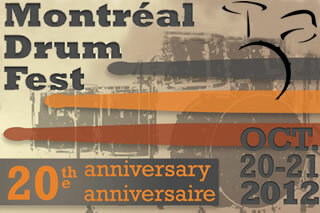 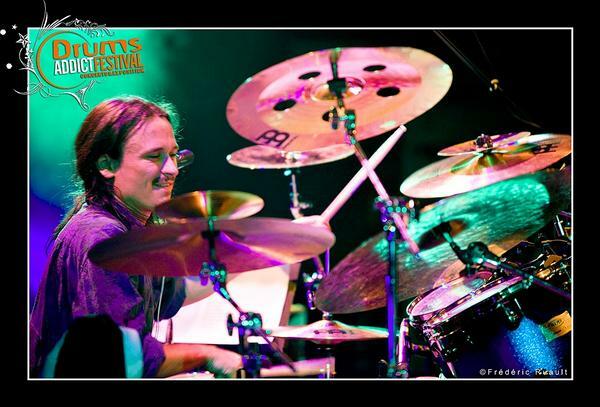 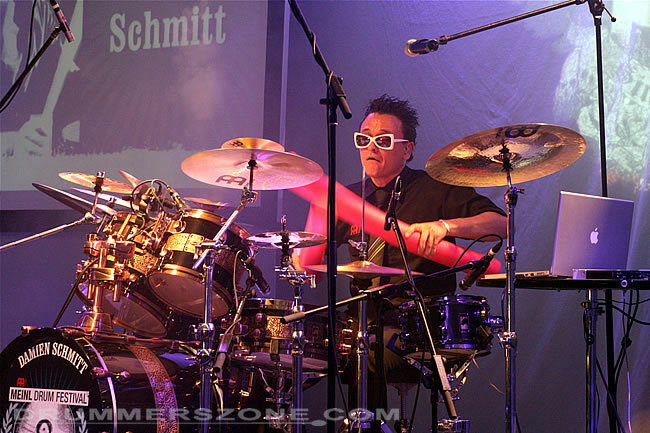 He is also regularly invited to do drum clinics in the USA and Japan. 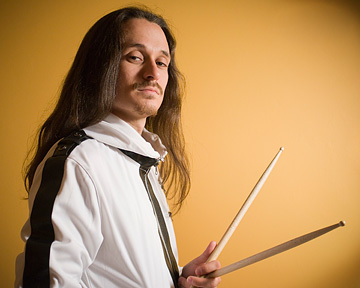 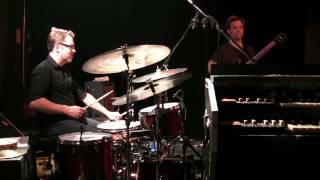 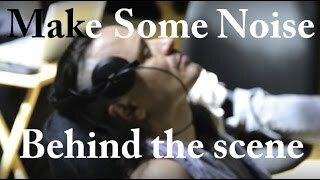 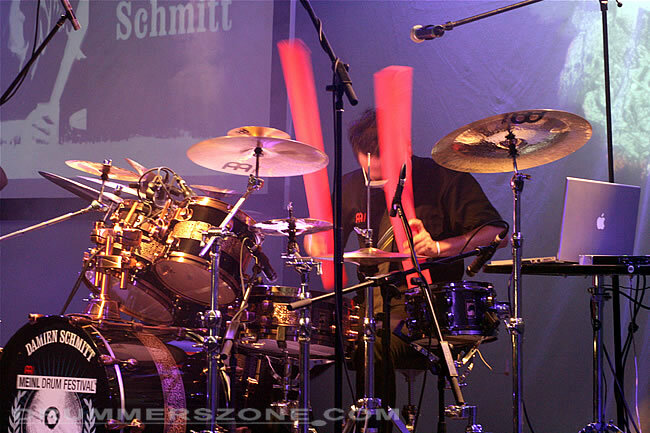 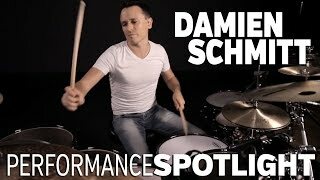 Damien Schmitt was introduced by Jean Luc Ponty in December 2007 who was so impressed by his feeling, technique and creativity that he hired him immediately.